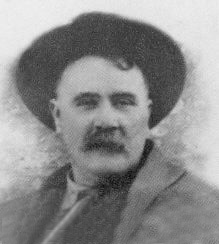 On Saturday, August 24, 1912, Whitman County Deputy John Eastep and Tekoa Police Marshal Grant Dickinson, along with several city councilmen went to a saloon to close it after its license was revoked. When the group arrived, one of the employees opened fire on everyone. Deputy Eastep and Marshal Dickinson were killed, while several councilmen were wounded. The suspect then shot and killed himself.